Fine Rice Bran is a complete food ingredient that can be used to bake crackers, cookies, breads, food supplements, and cereals. Honeyville's Fine Rice Bran is an excellent nutritional food source for emergency preparedness. Rice bran is the nutritious outer layer of the brown rice kernel that is removed during the polishing process to produce white rice. Fine Rice Bran contains all of the essential amino acids (protein), essential vitamins and minerals that are recognized as being essential to maintaining a healthy diet. Our Fine Rice Bran is a complete food ingredient. 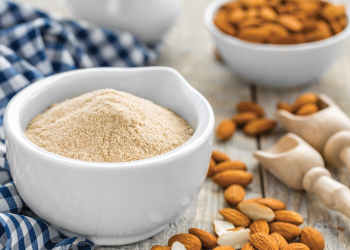 We supply fine rice bran to the food and natural food industries as an ingredient for baked goods, snacks, crackers, cookies, breads, food supplements and cereals greatly increasing nutrient value and lengthening shelf life through a diverse array of antioxidants. Honeyville Fine Rice Bran is an ideal product for long term food storage and emergency preparedness. Shelf-Life: Fine Rice Bran in a small bag will store for 1 year in a sealed 5 pound bag under ideal storage conditions (cool, dry place). In a 50 pound bag it will store for 1 year in a sealed 50 pound bag under ideal storage conditions (cool, dry place). Uses: Fine Rice Bran can be used to make breads, cookies, crackers, baked goods and more. Packaging: Fine Rice Bran in bulk is available in both a 5 pound bag and a 50 pound bag. Packaging may vary. 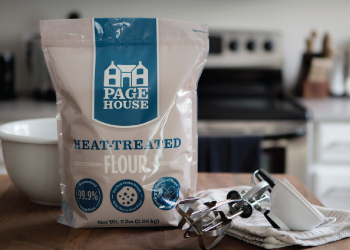 Allergen information: The 5 pound bag is produced on equipment that also handles products containing milk, soy, egg, wheat peanut and treenuts. The 50 pound bag does not contain any allergens.